I have been a Chartered Physiotherapist for over 20 years, specialising in musculoskeletal (muscles and joints) medicine. 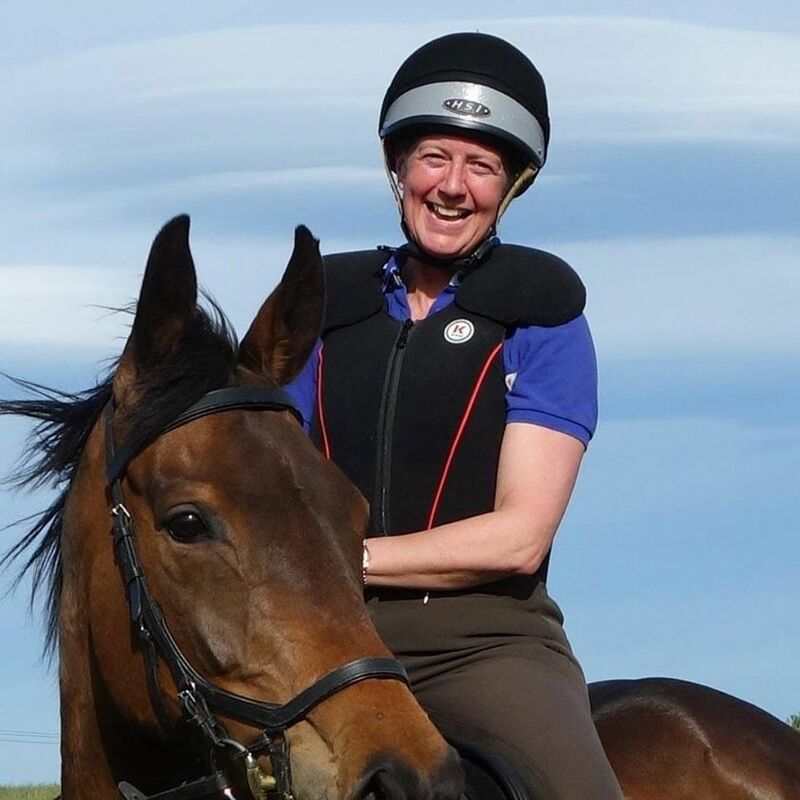 A longstanding interest in how people move, and the effects of movement on performance has influenced my own riding by understanding my own physical imbalances and relating them to my horse’s ‘way of going’. Identifying my own imbalances and correcting them using Pilates principles has resulted in a happier and less stressed horse and rider! Undertaking the Equipilates Biomechanics Trainer course has given me an even greater understanding of why we move the way we do and combines well with my clinical knowledge, making me a much better Physiotherapist and enabling me to offer a comprehensive diagnostic and rehabilitation service. I have established Rider Rehab to help those involved in equestrian sport understand how alignment, balance and control can be improved to help performance and reduce the incidence of recurring injury in both rider and horse. I have enjoyed being involved in numerous sports - running, rowing, climbing and skiing particularly - but never had the chance to ride until relatively recently. It had always been a childhood dream of mine and so, when a farmer neighbour offered me a retired racehorse I jumped at the chance. To say it has been a steep learning curve would be an understatement, but with the patience of amazing instructors and a lot of perseverance over the last ten years I achieved my long held dream of competing in a BE event (and finishing!). becoming fitter and stronger can help them achieve their own riding goals. I offer one-to-one, or one-to-two sessions in blocks of 6, comprising physical assessment, intrinsic biomechanics screening and Equipilates™ exercises. Get in touch and let's chat about your riding goals and how I can help you achieve them!